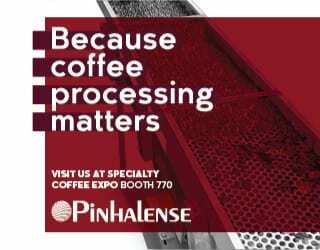 What is it that makes specialty coffee so special? We know it’s much better quality than commercial-grade beans, but why? Is it picked off the tree, already loaded with those unique and flavorful characteristics we love? There’s a significant amount of detailed work that goes into producing a high-quality micro-lot specialty coffee. Everything from fertilizers to the amount of shade, and from the altitude to the variety of crops that are planted within the micro-lots have an effect on the quality of the coffee. But the effort doesn’t stop once you’ve decided what to plant where and with what. 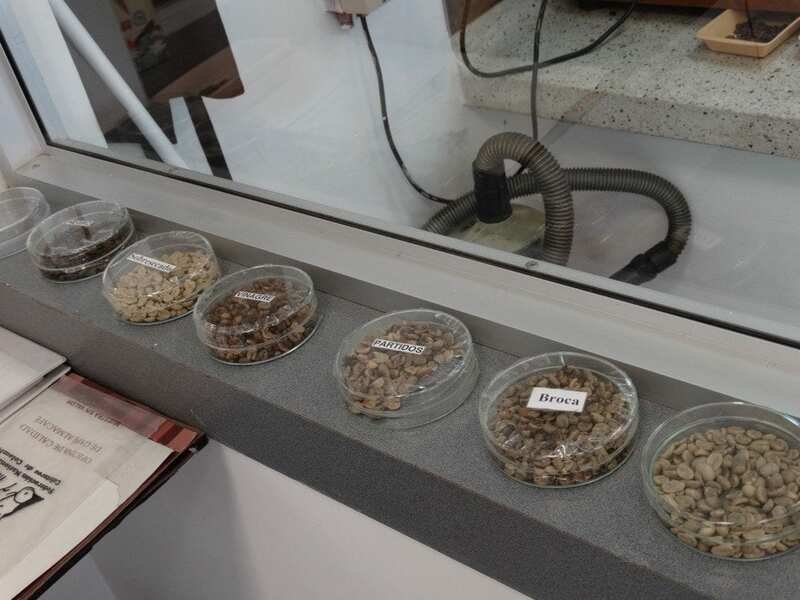 To produce a specialty bean, the attention to detail must continue throughout the entire process – and there are three quality control points that can really make a difference to the final cup. The coffee town of Risaralda, Caldas in Colombia. 1. The Cherry Pickers: Go Reds! Think cherry picking is basic work? Think again. The first line of quality control begins in the fields with these hardworking people. 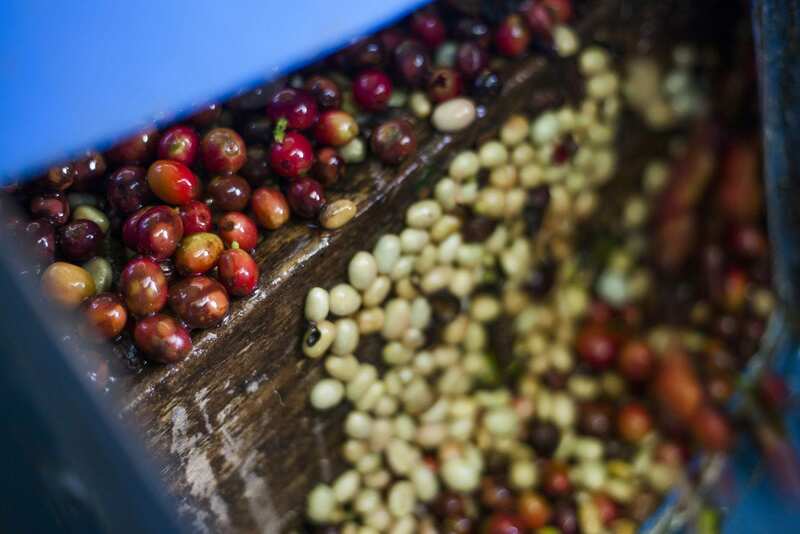 Traditionally, coffee pickers were instructed to pick any and all cherries in sight – green, yellow, red, or even black. Yes, black. It was quantity over quality, since coffee has typically been sold as a basic commodity rather than a luxury product. With a business model like that, the more there is, the more money you get. Coffee producer Jorge pulling down the tops of plants in search of the red cherries. They are not always the easiest to pick. Yet with third wave coffee, things are changing. 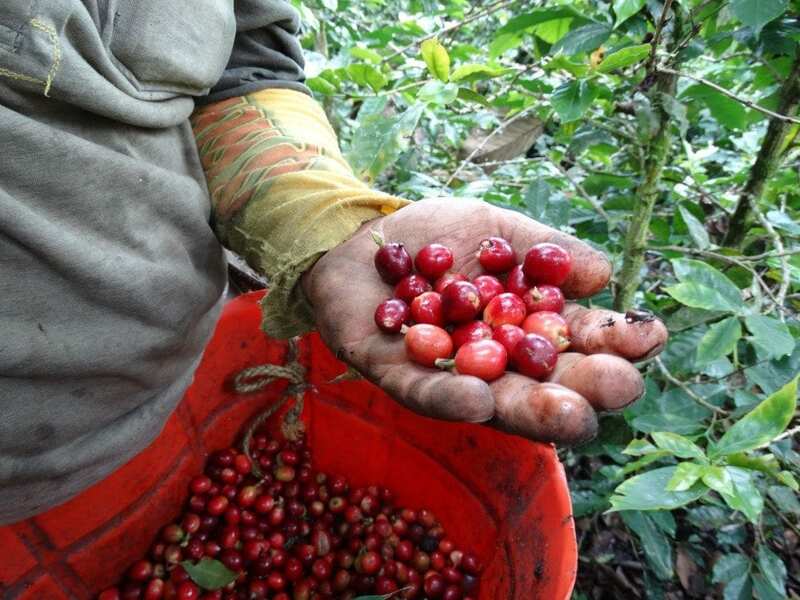 Pickers on specialty coffee farms are taught to pick only the red, ripe cherries. This is extremely important, as an underdeveloped or overdeveloped cherry can give the final cup a sour or bitter taste. It’s a difficult transition for a farm to make, as pickers are typically paid by the weight of the cherries they’ve picked. On specialty coffee farms, pickers are still compensated based on weight but they are paid premiums to make up for the fact that the weight picked is less and the work is more tedious. Leaving behind the green to go straight for the red cherries. Nobody is perfect, though, and so occasionally over- or underdeveloped cherries do fall into the sacks. So some farms take it a step further and do a hand-selection process of the red cherries that are picked throughout the day to weed out any of the stragglers that get through. This ensures that only the best and ripest cherries make it through to the wet mill. Coffee producer Jorge showing us how you’re supposed to pick cherries. 2. 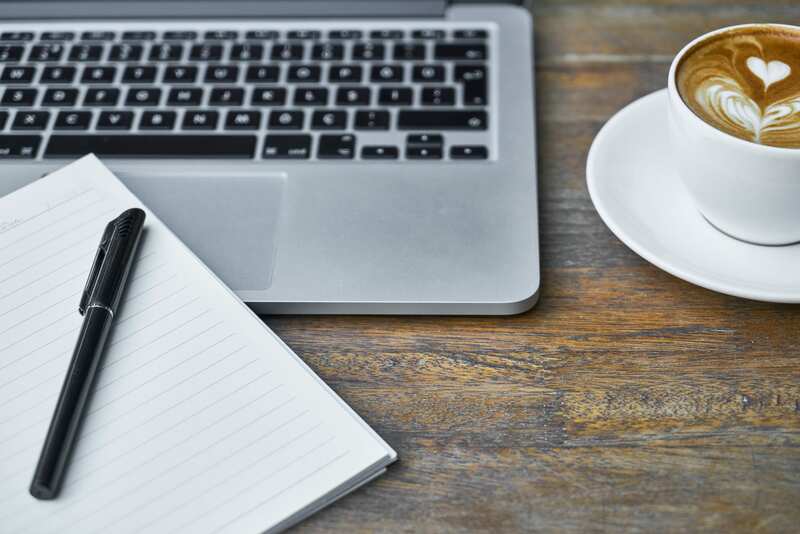 Parchment Coffee: Hunt Out Those Defects! After the cherries have been run through the wet mill and dried to the optimal humidity level, it’s time for the next stage: the hulling. And this is where the second quality control check is. 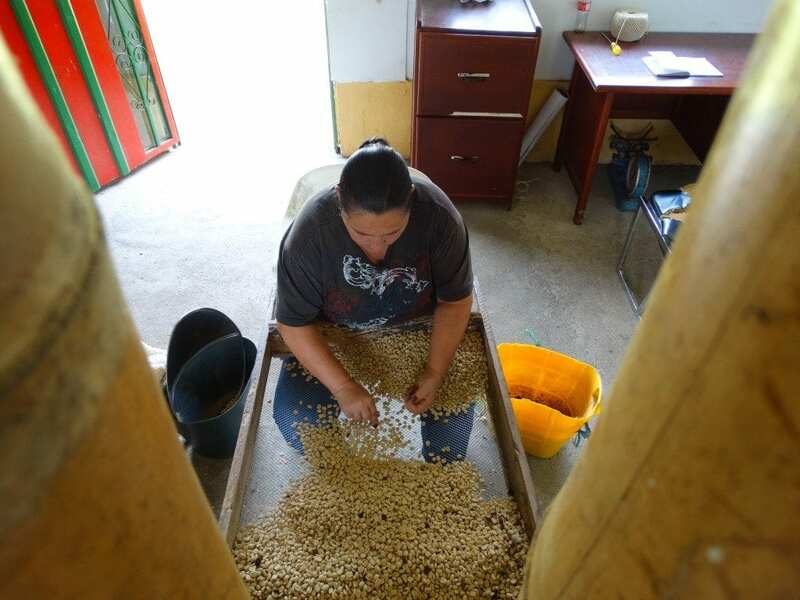 Coffee producer Rosa sorting the parchment coffee. 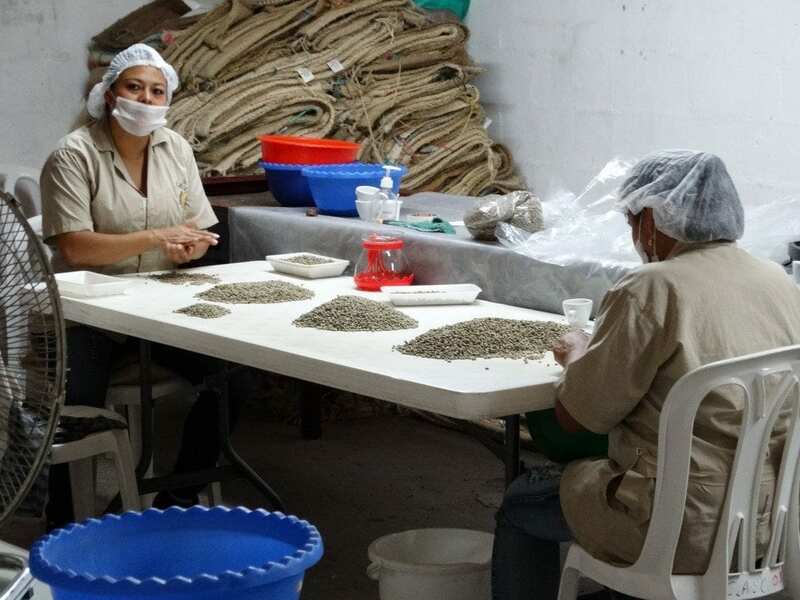 Parchment beans with visible defects are hand-selected and then tossed into a pile of pasilla. Pasilla is the defective beans which, unfortunately, will still be sold in the market. It’s what you would typically find in commercial grade coffee and is what most Colombians drink on a daily basis. 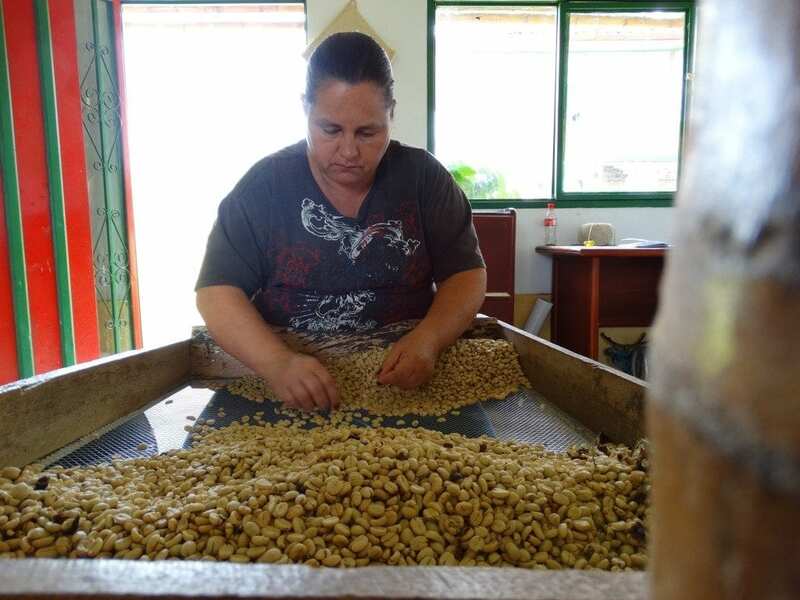 Coffee producer Rosa hand-sorting parchment coffee. Once the beans have been hulled, they’re left in their final stage prior to roasting: green. And yet again, a quality control check is needed. The parchment, just like the pulp, can hide defects. And per the SCAA criteria, specialty coffee must have zero primary defects, so it’s crucial to get rid of any defective beans. 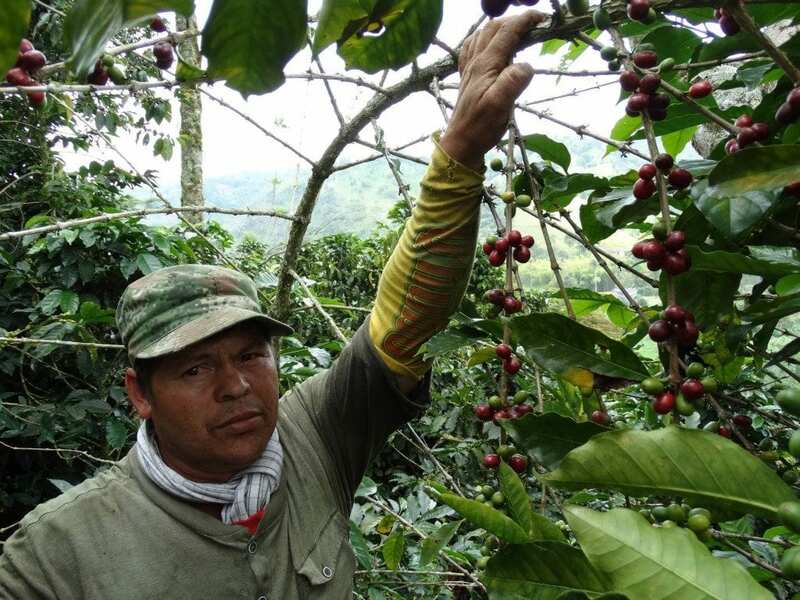 Examples of defective green beans at the Colombian Coffee Federation. This last quality control point has traditionally been done by hand, but there are now machines that can do the job. Hand-selecting is the ideal method because it provides employment to the local community. Hand selecting of green coffee at Azahar’s facility in Armenia, Colombia. However, it’s not always the most time-efficient – especially for large cooperatives handling a huge volume. As a small exporter/importer handling small micro-lots, I focus on maintaining economic and social sustainability within the communities we work with and so prefer the traditional method of hand-sorting. Yet for others, a machine may be a more viable option. Green Coffee sorting machine in Colombia. By now, the process at farm-level is complete and the beans are ready to be roasted, free of defects and full of flavor. But if you think the quality checks stop here, you’re mistaken! 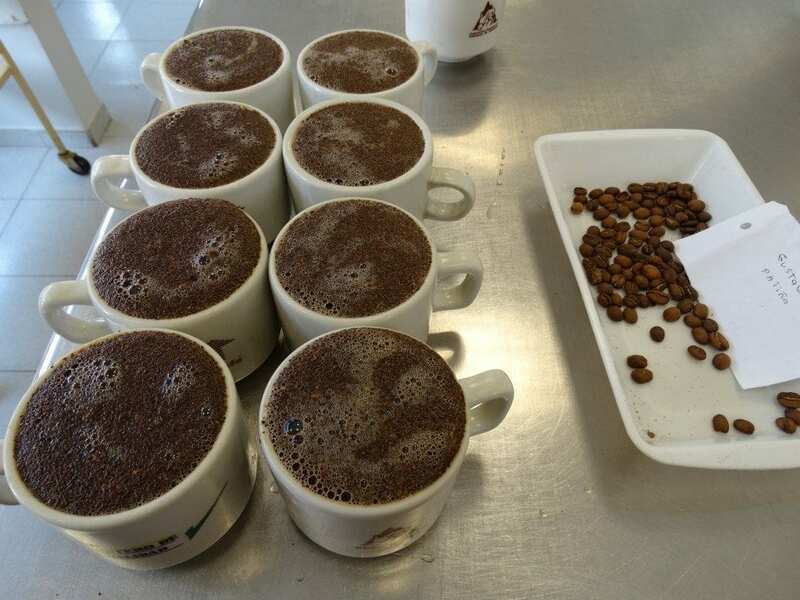 The quality control points continue on until the final cup is served and enjoyed. The quality control continues. Cupping session at the Colombian Coffee Federation. 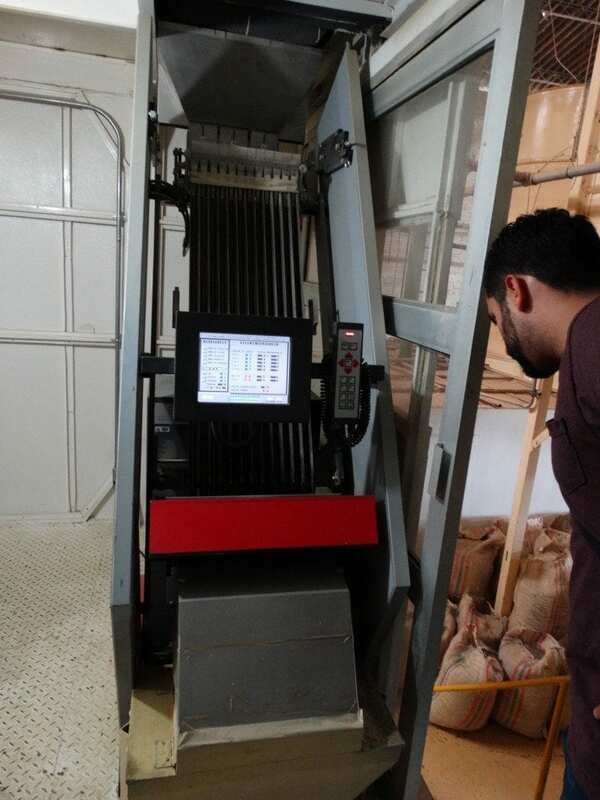 Of course, these three processing quality control checks that we’ve been talking about will ensure that the number of rejected beans is minimal. 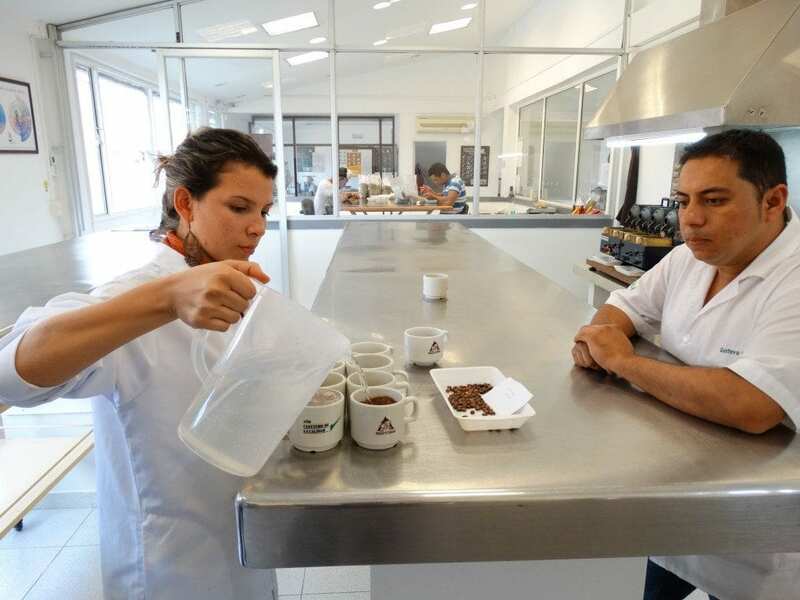 Quality control is taken seriously in the specialty coffee world. Cupping session at the Colombian Coffee Federation. 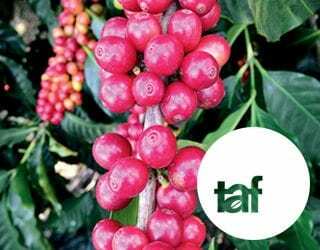 By enforcing these three quality control points consistently and effectively during the processing stage, the quality of the coffee beans will noticeably improve. 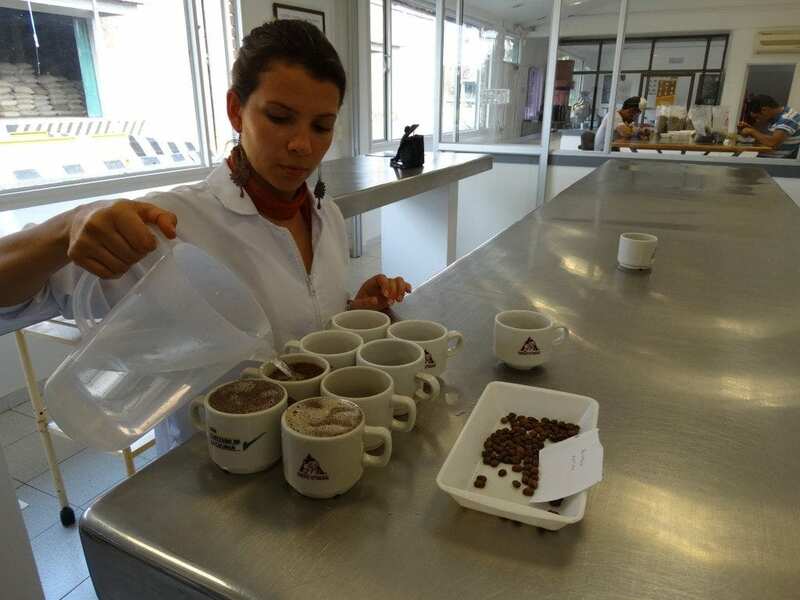 So next time you sit down with a delicious cup of specialty coffee, know it’s not just the beans themselves that make the coffee taste so great – it’s also the meticulous processes and hard work of those quality control checkers at origin. 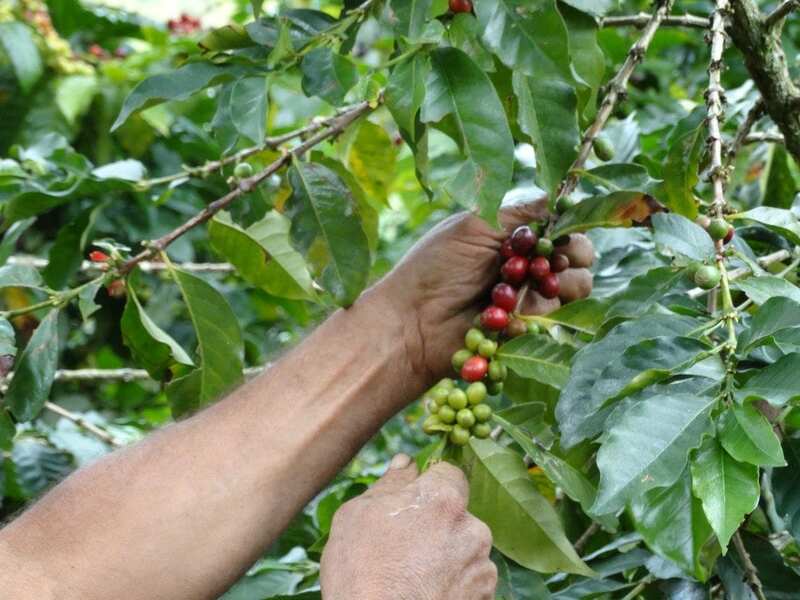 A lot of hard work goes into bringing the consumer these high-quality specialty coffee beans. Cupping session at the Colombian Coffee Federation. And thank god they do check! Written by D. Valesquez of Campesino Specialty Coffee and edited by T. Newton.